Come and visit us! - a-stautenbergs Webseite! We will be exhibiting at the Innovation Day! We will be exhibiting at the 18th CAR-Symposium at the RuhrCongress in Bochum on February 8, 2018. We look forward to welcoming you there. Thomas Rachel, Parliamentary State Secretary at the Federal Ministry of Education and Research, launched the ruhrvalley research partnership at a ceremonial opening event at the Mont-Cenis Academy in Herne. In the Science Slam, moderated by Jason Bartsch, poetry slammer from the Ruhr area, network members also provided a personal view of their view of future technological challenges. Visit us at the Hanover Messe 2017! (Research & Technology, Research and New Materials) at the Hanover Fair. You are also present and want to get in contact with us for a personal exchange? Then you are welcome to make an appointment with us in advance. We are pleased about your interest. The conference was organized by the Bochum University of Applied Sciences and CharIN e.V. (Charging Interface Initiative e.V.). The event is the meeting place for the electric mobility charging industry and connects experts in cargo technology and infrastructure. 140 experts from 13 countries met to discuss new trends in electric mobility charging infrastructures. AUKTORA was present at the ruhrvalley booth during this international two-day conference. 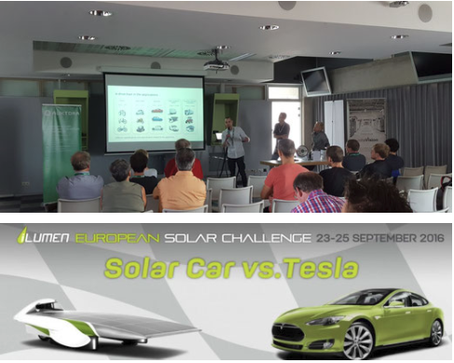 From 23 to 25 September 2016, the second iLumen European Solar Challenge (ESC) took place at Circuit Zolder (Belgium), in which teams from all over the world competed for the first time in a 24-hour race with solar-powered electric vehicles. Another special feature was that the teams were able to compete and win the race against two Tesla Model S cars. In addition, the AUKTORA Techtalk was held at the Congress Center Zolder. 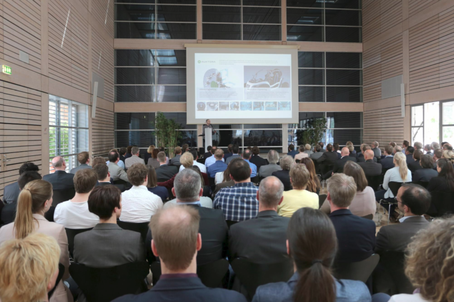 Thierry Wilmes (AUKTORA GmbH), guest experts Tim Skerra (Scienlab), Nils Stentenbach (VoltaVision) and Michael Schmidt (Solar World) and other technical presentations explained and visualized current topics and developments in electromobility in detail to the interested audience. AUKTORA and VoltaVision present the ruhrvalley transfer prize. The ruhrvalley initiative awards the transfer prize once a year. 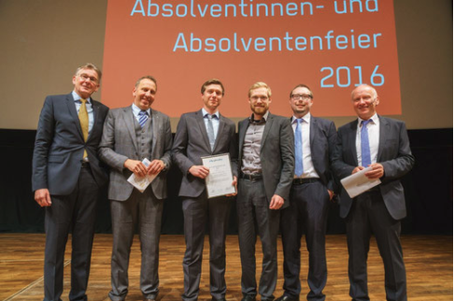 This year it was awarded to Kevin Leiffels with his development of an e-skateboard at the graduation ceremony of the faculties of mechatronics and mechanical engineering as well as electrical engineering and computer science of the Bochum University of Applied Sciences. The award was presented on 23.04.2016 by Nils Stentenbach, Managing Director of VoltaVision and Tim Kohlmann, Managing Director of AUKTORA. Three founders of AUKTORA are honorary board members of the European Solar Challenge (ESC). This is a racing event for solar-powered electric vehicles. The ESC is therefore the European counterpart to the World Solar Challenge, which takes place every two years in Australia. The new edition of the ESC was held at the race track in Zoldern in 2014. In the form of a promotion tour for the next event in 2016, the teams were able to present themselves at the Formula E in Monaco from 8 May 15 - 9 May 15.